Long week ahead. Post-Christmas malaise has set in. I feel - wait! No, I *know* we're all deserving of some treats. 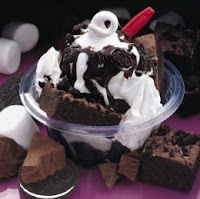 I want the Dairy Queen brownie thing. The rest of you can fight over the other treats. 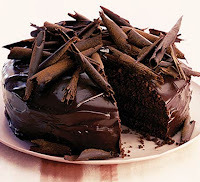 It's not even lunch time and already my mouth is watering and I'm craving chocolate cake now. Diet deffo starts in the new year. For sure. Oh GOD! I started my carb-free madness today and I was doing just fine despite my continued depression from the weekend (Stevie G's arrest helped), but CHOCOLATE! How could you?!?! PS - kudos to Mr. Dark Side (aka Berba) on the winning goal today. While I'm not *cheering* for your team by any means, I do love watching Mr. Dark Side sweat! Dr. Dark Side? LoveLamps!! What the??? LOL!